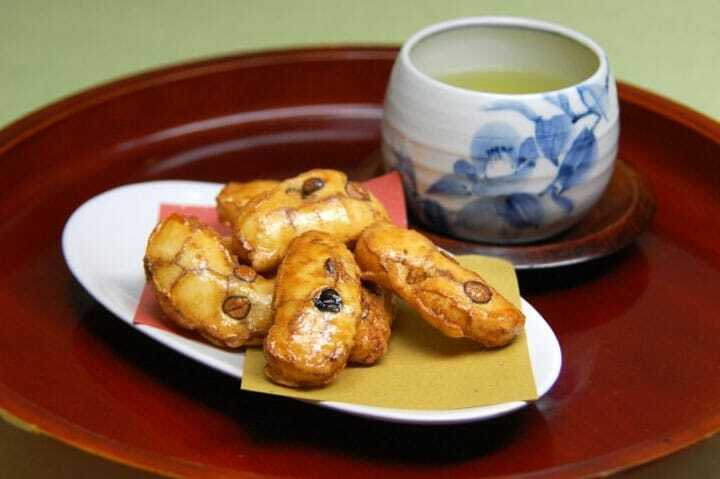 Recipe for Japanese rice crackers (about 100 crackers) – ¾ tea cup flour; ¾ tea cup mociko (unglucated rice flour); 1 ½ tablespoon sugar; 1 tablespoon black sesame seed; 1 tsp. baculber; ½ hrs. water; vegetable oil for frying; For glaze :; ¼ hc. corn syrup; ¼ hc. sugar; ¼ hc. soy sauce. Mix a soft dough of flour, bell pepper, sugar, sesame, baking powder, and water. If the dough is too dry, add some more water. Lightly sprinkle the work area with a cloth. Divide the dough into several pieces and roll them thinly. The rolled sheet should be nearly as thick as a piece of paper. Cut squares with sides about 1.27 cm. Heat the oil 190 degrees. Run the crackers to fry golden for a few seconds. Remove them with a spoonful of grain, pushing excess fat. Drain crackers onto kitchen paper. Spread the fried crackers onto baking paper. For the glaze in a pan, mix corn syrup, sugar and soy sauce and let boil in medium heat. Cook until the sugar dissolves and the mixture begins to thicken – about a minute. More than that, you do not have to boil. Pour the glaze over the rice nuts in the pan by working quickly and stirring to cover them evenly. Keep in mind that the chilled glaze hardens easily. Crackers themselves should not touch one another. Bake for 15-20 minutes (no more!) Until the glaze dries in a heated 150 ° oven. There is a huge variety of array species. All rice kernels vary in size, color and shape and are available both sweet and salty, and spicy varieties. One of the arraine types is namely kakino tane or the well-known and rice kernels. Their name comes from a form that resembles paradise apple seed. 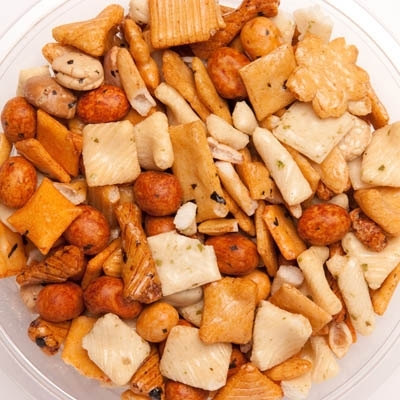 Quite often in Japan, kakino tans are sold mixed with peanuts, the combination is called “kakipi” and is a popular appetizer for Japanese beer.